Here is a sample of what some of our delighted clients and customers have had to say about us. Bernie has managed several property transactions for me, both buying and selling. I have found him to always be professional, helpful and genuine in all our dealings and would certainly recruit him for future business. It has been our pleasure to deal with Bernie Kroczek regarding property on several occasions over the last few years. We have found Bernie to be very knowledgeable about the property market. His advice and gentle suggestions have been a great benefit to us in decisions that needed to be made. He always portrayed a professional confidence and carried himself with integrity and dignity at all times. 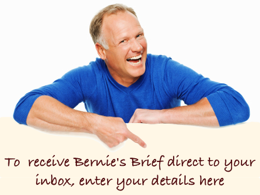 Bernie’s advice was always given to benefit us, as clients rather then for his own interest. Bernie has been very successful in his real estate career as he has built it on honesty, integrity, loyalty and being trustworthy to his word. We have no hesitation in dealing with Bernie again and I would highly recommend him to any prospective vendor or purchase who is looking for a hardworking and sincere professional in real estate. I first met Bernie back in 2001/2002 when I appointed him as my selling agent when selling a unit in Herdsman Parade, Wembley. Bernie presented himself as a professional and some what of a quiet achiever. By the time he left appraising my unit and we agreed on the conditions, I received a phone call from Bernie requesting that he had access to the unit to show a perspective buyer though. If memory serves me right the unit was sold within 14 days upon assigning the property over to Bernie, and at my asking price. A few years went on and I contacted Bernie again to sell a property. One house open and a few private viewings was all that was required in selling the property at the price being sought. Again this property was sold within a minimal time frame. I have always found Bernie to be open and honest in his capabilities of selling a property. He operates with minimal fuss and intrusion on your time. I have also consulted Bernie for his expertise in leasing out my property. Bernie’s manner is non-evasive and sincere and from speaking with the purchasers of my properties, from a perspective of a purchaser, they found that there was no hard sell or pressure when dealing with him also. I have recommended Bernie to a few colleagues and would continue to assign Bernie to any real estate project that I need assistance with. This is just a note to say thanks for the way in which you handled both the purchase and eventual sale of our investment property in Wembley. We have yet to find a person in the real estate industry who is so professional and helpful in the buying and selling of property. Everything went without a hitch and nothing was too much trouble for you. It was almost too easy. No pressure. No hype. Just plain, honest service, with punctual appointments, promptly returned phone calls and always a friendly smile. I know we will do business again. Thankyou. May we say how pleased we were with the service you offered us in the recent sale of our house? It was reassuring to deal with a professional who knew his market, and was able to offer us sound advice as to the price point for the house. The fact that we sold it to the first serious viewer was an indication of the soundness of your advice and your skill in ‘closing the deal’. We also appreciated your willingness to promptly bring the offer and acceptance process to a speedy resolution over a weekend, while you were not feeling the best. It showed considerable focus and professionalism. You may recall that we contacted you to sell our house on the basis of similar professional service in buying the land for it some 18 years previously! It is a testament to your dedication to the provision of more than just a quick sale that you persisted until you were able to find a solution to our particular needs at the time despite changes in our financial circumstances. We have followed with interest your career path to date through your newletters and cards and did not hesitate to avail ourselves of your services when selling our house. The new venture, where the customer rather than the commission is the primary focus, embraces the concepts of integrity and commitment you have demonstrated in your dealings with us over the years. In May we were looking for a property to purchase in Hillarys. The property we found was being sold by Bernie Kroczek Real Estate. Right from the start he was very professional, prompt to appointments and very polite. 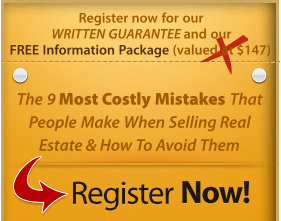 At every step from the purchase to settlement he was helpful and efficient. If he could not answer a question honestly he would find out the answer and get back to us promptly with the answer. Bernie assisted us through the settlement process and was polite enough to call and check that everything was ok once the settlement had gone through. Bernie was a pleasure to do business with and we would not hesitate to deal with him in the future. It has been a pleasure doing business with you. You were always helpful, obliging and cheerful. I would also like to add that your staff were also helpful when I called your office. I would use you Bernie in the future if I need to. Bernie’s calmness and serenity impressed us and helped to secure a sale after 11 months on the market during one of the worst sales downturns in decades! Unlike our first agent who wanted payment for ads lodged, Bernie doesn’t charge for ads and doesn’t charge if he doesn’t sell. The staff too, were always courteous and helpful. We rate our decision to use Bernie very highly, it was the one we should have made before appointing our first agent! Bernie initially became a family confidante and his thoughtful gifts, even down to flowers on my wife’s birthday were appreciated. Your gift of 3 nights at a Margaret River resort will be healing after the stress of moving to our new sea-change lifestyle. Bernie brings a positive face to a sometimes hazy reputation given to real estate agents. His honest and thorough approach was a refreshing experience that turned a previously poor one into something enjoyable. We would wholeheartedly recommend him to list your property. We loved our experience selling our house with Bernie. We first met Bernie when we bought a property from him, which was great. Bernie was really, really, helpful, really, really respectful. He made sure that the times and everything suited and found the perfect buyer for our little place. The staff were great. So thanks Bernie.